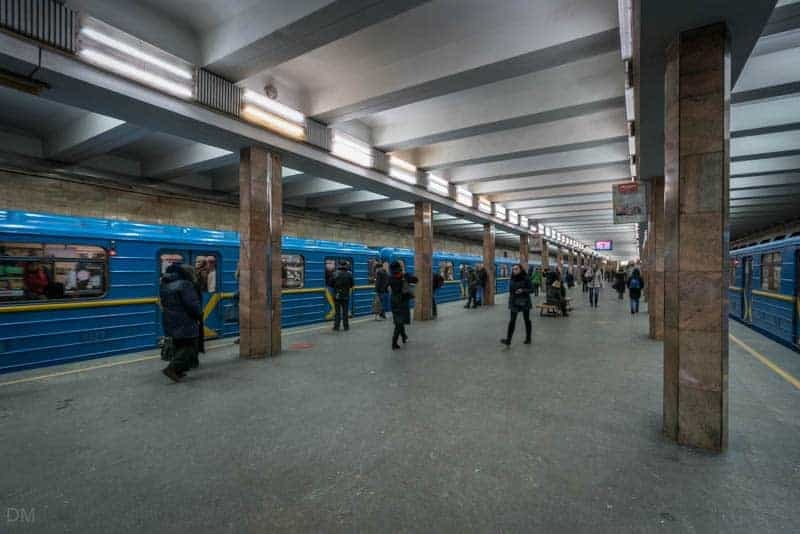 Kontraktova Ploshcha Metro Station is situated in the historic Podil area of Kiev. 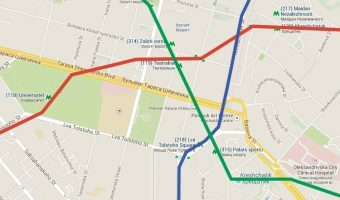 It’s on the Blue Line and is named after nearby Contract’s Square. Tourist attractions in the area include Andrew’s Descent and the Ukrainian National Chernobyl Museum. Adjacent stations on the Blue Line are Tarasa Shevchenka and Poshtova Ploshcha. Andrew’s Descent (0.4 miles) - The city’s most artistic street. Restaurants near Kontraktova Ploshcha Metro Station include. Vero Vero (0.3 miles) - Cosy Italian restaurant in the Podil area of the city. Great summer terrace with fountain. Kanapa (0.4 miles) - Offers traditional Ukrainian cuisine. Situated in a quaint wooden building on Andrew's Descent, one of the most popular streets for tourists in Kiev. Khutorets on the Dnieper (0.5 miles) - Ukrainian restaurant offering cuisine from all regions of the country. Located on a boat on the Dnieper River in the Podil area of the city. Happy Grill Bar (0.5 miles) - American bar and restaurant in Podil. Offers steaks, burgers etc. Known for its good-looking waitresses. Close to the Funicular and Fairmont Grand. Map showing location of Kontraktova Ploshcha Metro Station. 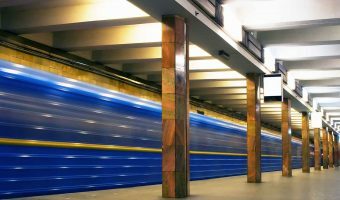 The best way to get around the city is to travel on the Kiev Metro. It’s fast, reliable, clean, and ridiculously cheap. 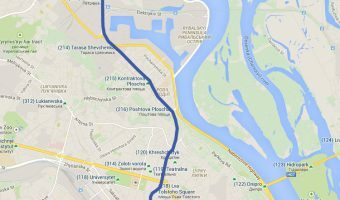 Interactive map of the Kiev Metro. Click on any station for more information. Stations include Kontraktova Ploshcha and Poshtova Ploshcha (both in Podil), Maidan Nezalezhnosti (for Independence Square), and Ploshcha Lva Tolstoho. 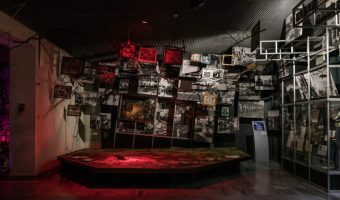 Museum telling the story of the world’s worst nuclear accident.